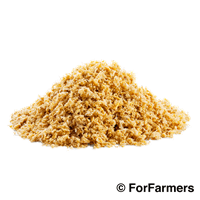 ForFarmers is a leading supplier of dry, moist and liquid feed materials to farmers and livestock producers. ForFarmers are able to supply a comprehensive range of straights and co-products and are expertly placed to offer a service to all of the human food and drink industries that generate co-products or by-products. To view our full offering of alternative feeds please use the ForFarmers Feed Library. Feed materials also known as ‘straights’ which are used in many dry feeds are included in this section. Oilseed by-products such as rapeseed meal and soyabean meal are useful sources of protein, as well as dried distillery products. Energy sources from cereal ingredients, together with digestible fibre feeds are useful to include in the ruminant diet. Also included here are some specialist dry supplements such as rumen protected fats. Co-products from the food and drinks industry such as ‘moist grains’ are often supplied as moist feed materials between 18 and 30% DM. More cost effective for farms locally situated to the supply, as this allows minimal transport cost and environmental footprint. As well as recycling useful feed materials typically from breweries and distilleries, they are widely recognised as providing valuable nutrients such as protein and can be useful where farms are short of forage. Liquid feeds such as molasses have been used by farmers for many years, however distillery syrups are also popular. A co-product from the distilling industry, Distiller’s syrup is rich in protein and can be fed as a syrup or as a blend. It’s popular with farmers who have extra tank storage as many will use molasses and is very useful to supplement low protein forages such as wholecrop or maize silage. 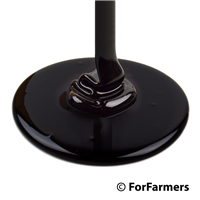 Molasses however, from the sugar industry is an energy feed, but also very palatable, so useful to help with DMI where forage or feed intake is low.